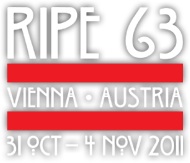 A RIPE Meeting is a five-day event where Internet service providers, network operators and other interested parties from Europe and the surrounding regions gather. 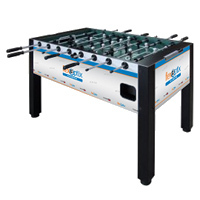 Think you’ve got what it takes to reign supreme on the foosball table? The “orange hats” from flexOptix are calling on RIPE 63 attendees to show their skills in the RIPE 63 Foosball Tournament. The winning team takes home bragging rights and the prize of a World Championship Foosball Table shipped anywhere in the RIPE NCC service region. The competition has now started and you can check the real-time scores on the championship’s dedicated page. All competitors will receive a memento of their participation.